He was defeated by the combo of Chiyo and Sakura. He then offered his most precious puppets – his parents' puppets – to Kankuro. 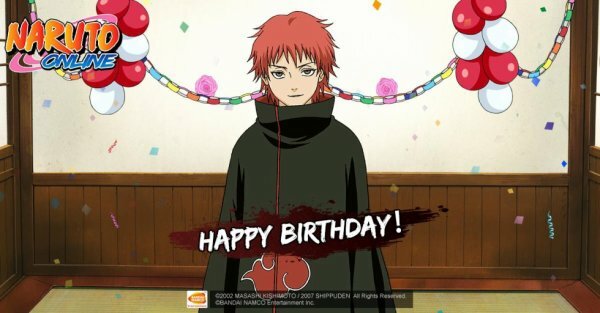 Happy Birthday, Sasori! A genius puppeteer, The grandson of the skillful Chiyo of the Hidden Sand, His love for puppets was so big that he turned himself into a puppet, He was defeated by the combo of Chiyo and Sakura. When he was brought back using Edo Tensei, He was moved by Kankuro's words, And understood the true meaning of being a puppeteer, He then offered his most precious puppets – his parents' puppets – to Kankuro.